Ok – I think I have been doing a little better with my leftovers than I had originally thought. But, here’s meal #3 in my Forgotten Food | A Meal challenge. Again, it’s incredibly easy! Who doesn’t love tacos? But, after I had them for two meals, it was time to change it up. 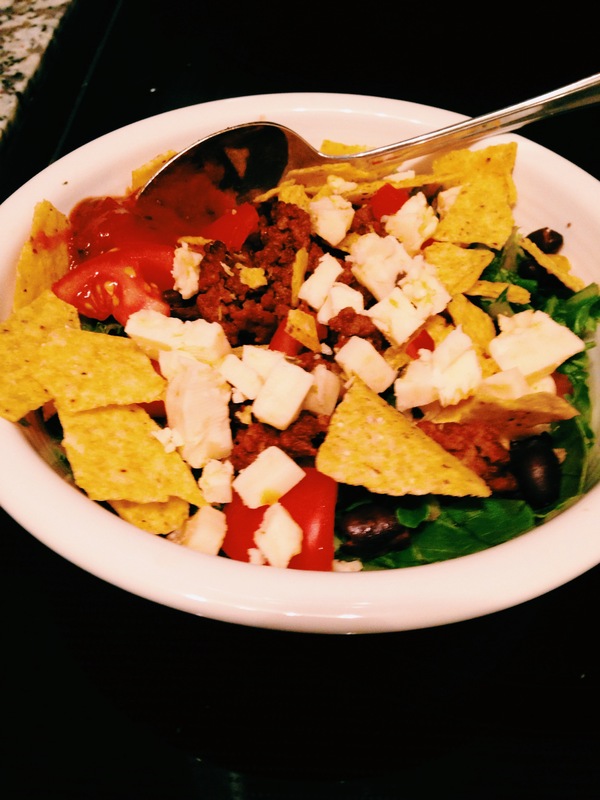 So, I opted to be a little healthier and make a taco salad. I washed and cut up my baby kale mixed salad in my bowl, and then sprinkled the diced tomato on top. I heated up the meat, corn and black beans before sprinkling them on top. Then, I added a few taco pieces, and then topped it off with some cheese and salsa. Last night, all I wanted was a pizza. Do you guys ever get those cravings? I just wanted some tomatoes and cheese and bread. 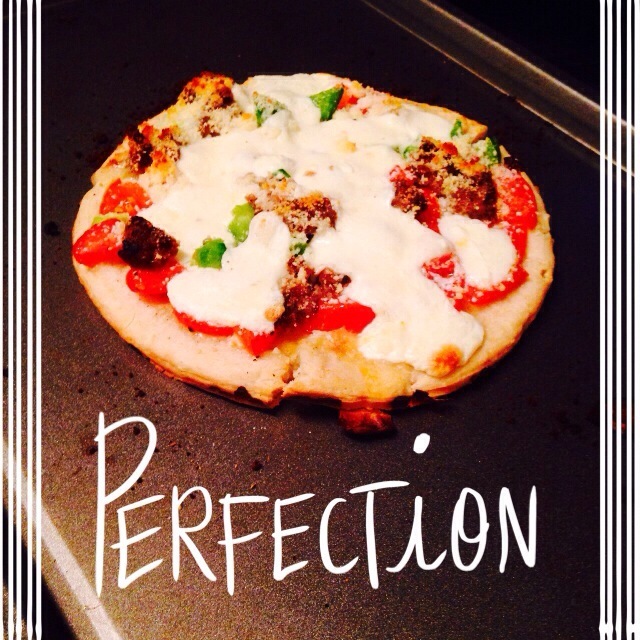 I had one leftover Italian sausage patty, and crumbling it up on my pizza sounded delicious! They are also the easiest things to make too! Drizzle a little olive oil on your dough, and get to work layering. There was no method to my madness, except to put the cheese as the last layer on top! I just scattered the toppings all over. Put your masterpiece in the oven for about 10 mins, and you have a meal!